Introducing Carni Strip by Internationa., Carni Strip is a blend of carnitine with a proprietary blend of fat burning ingredients. 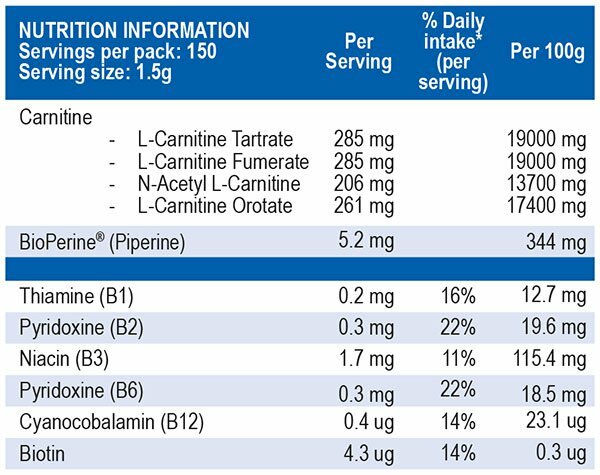 The unique and revolutionary blend of Bioperine, Vitamin B, Phosphorus, magnesium, L-Carnitine Tartrate, L-Carnitine Fumarate, N-Acetyl-L-Carnitine and L-Carnitine Ororate , International Carni Strip can provide countless benefits. 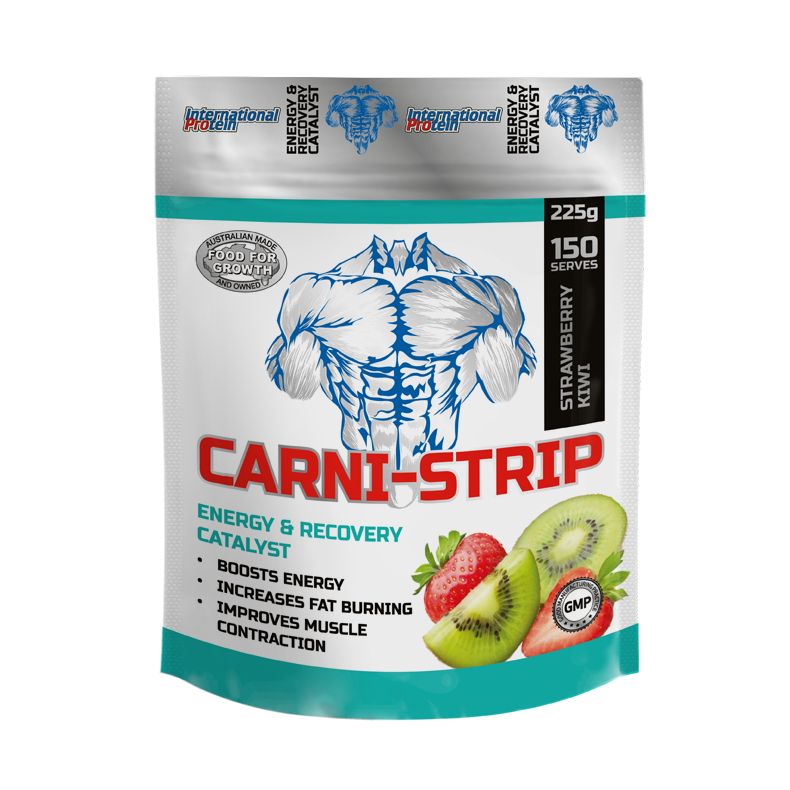 Some of the benefits of Carni Strip are that it helps support the energy production process, glucose utilisation and it can also aid in supporting nerve function for correct muscle contractions. Carni Strip by International is suitable for bodybuilders who stress their livers and for people who are carb sensitive. Multiple forms of Carnitine are found throughout the body like the liver, muscle and heart, they all rely on various forms of Carnitine to help aid their relative function. The benefits of Carni Strip doesn’t stop here, it can also aid in fat loss and muscle recovery. Recover your muscles, promote healthy functions to your liver, heart and muscle and optimise your energy levels with Carni Strip by International! Manufacturer recommends taking 1.5g (1/3 scoop) mixed with 200ml of water 15-20 minutes before exercise. Also suitable for use during training or added to your post recovery drink.